Pause and consider the risk before I connect to the Internet. Lock my computer whenever I leave my work area. Protect my mobile device by activating security features such as password and screen-lock, installing anti-virus software, and enabling remote wipe. 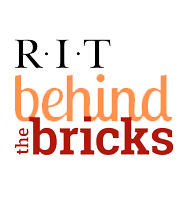 Follow RIT Information Security Policy and Standards and promptly report all security incidents or concerns to spam@rit.edu. Not post personal, sensitive or non-public information on social media. Not participate in any cyber bullying activities. Raise awareness of good security practices among my family, friends, colleagues and community. For more information, contact Ben Woelk at infosec@rit.edu.